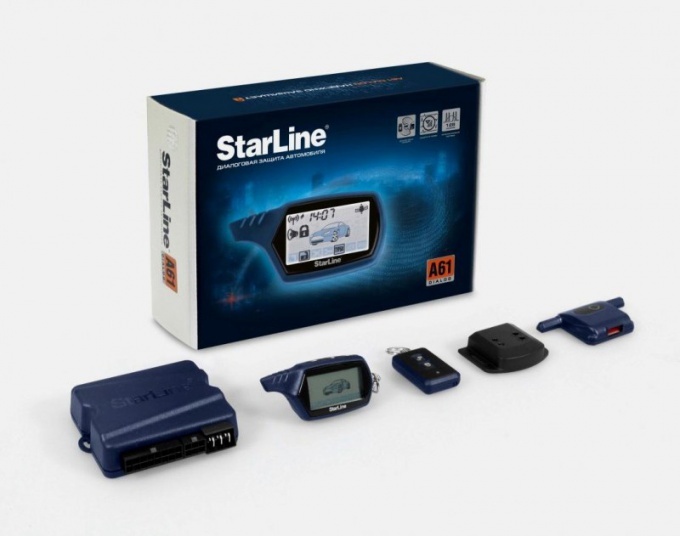 Alarm system manufacturer Starline is equipped with two-way communication, as well as an expanded range of service and security functions. Her kit includes a convenient keychain with LCD display. Connect the alarm to the car, then use the key FOB to program it. Turn off the ignition, then press the service key on the keychain Valet six times. Then turn on the ignition, it will beep six sound signals, which are input indicator programming mode alarm. Press the Valet button on the remote control to select a specific function. The number of clicks corresponds to the number of the selected option. Use the table below to determine the number of function http://www.avtostudio.ru/images/autosignaling/starline_a4/table6.gif. For example, if you want to set the duration of the pulses applied to the Central locking to lock and unlock, press the button once and set the desired value using buttons 1 – 3 (see table). To set the status of the programmable functions, press one of the buttons remote control for ten seconds after selecting. Set the delay of activation of the sensors of the doors, boot and bonnet, to do this press the service button three times and select the duration using the buttons (1 – 60 seconds 2 – 5 seconds; 3 – 30 seconds; 4 – 45 seconds). To set the type of output on the beep, press eight times on the system button, then select the type: 1 or 2 – permanent regime, and 3 – 4 pulse. System hit the Valet button eleven times to set the lock motor in the "Antigravity". This mode is activated after pressing the brake, press 1, after activation of the mode – 2 – 4. Turn on guard mode with the door lock. For that, seven times click on the system key, then press 1. To disable this function, select from 2 to 4. Exit from the programming mode alarm after setting all desired options, Starline, if you turn off the ignition key or wait until the system will exit the mode automatically. Confirmation of this will be five flashes of the dimensions, as well as signal keychain.